There’s something both delicious and dangerous about working in a bookshop. Every other day, I discover a new – or old – book that I suddenly can’t live without. It’s tempting enough working on the shop floor at Readings Doncaster (Mondays), but now that I’m editing Readings Monthly too, my bedside book mountain is rising to ridiculous levels. I don’t know if it was a desire to scale the mountain, or overexcitement at beginning my third stint as Readings Monthly editor (this time, babysitting it for Elke Power), that led me to review three titles this month. DVD of the Month, Lion, a devastating, uplifting (Oscar-nominated) Australian film, tells a complex, uncompromising story of the realities of international adoption. It’s a Mother’s Day no-brainer: there’s not just the swoony Dev Patel, but two amazing mothers at its heart. I LOVED our Non-Fiction Book of the Month, Depends What You Mean By Extremist, by John Safran. Perfect for fans of Jon Ronson and Louis Theroux (and John Safran! ), it’s an original, insightful, frequently deadpan-funny read about Australia’s political extremists. 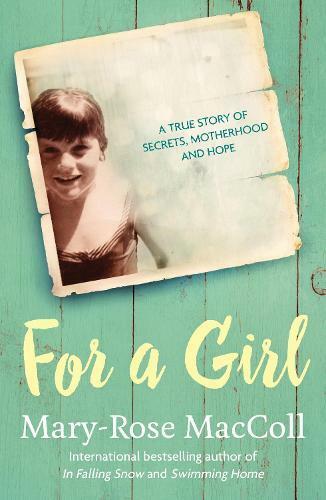 Mary-Rose MacColl’s For a Girl, her memoir of surviving a predatory teenage relationship with her teacher and her husband, and the daughter she gave up for adoption as a result, was recently extracted in Good Weekend. It’s sad, beautiful and very wise. Nina Kenwood is an Elizabeth Strout tragic (along with many Readings booksellers). She raves about Strout’s new novel: our Fiction Book of the Month, Anything is Possible. In fact, I received lots of rapturous reviews for May. Suzanne Steinbruckner was kept awake thinking about the future after reading Sally Abbott’s dystopian nightmare, Closing Down, winner of the Richell Prize. Robert Frantzeskos was intrigued and impressed by The 7th Function of Language, Laurent Binet’s follow-up to his literary smash-hit HHhH. Sharon Peterson, a passionate Tracy Chevalier fan, says New Boy, Chevalier’s contemporary reimagining of Othello (in the Hogarth Shakespeare series) is ‘another great read’. Ellen Cregan says The Blood Miracles, Lisa McInerney’s sequel to her brilliant Bailey’s prize-winning novel, The Glorious Heresies, makes ‘all the right moves’, blending gangland exploits with ‘the complex and textured prose of contemporary Irish fiction’. And Hilary Simmons makes some enticing comparisons for Delphine de Vigan’s literary psychological thriller Based on a True Story: Gone Girl, The Talented Mr Ripley and Notes on a Scandal. The French bestseller is on my book mountain. When you pick up this month’s Readings Monthly, don’t forget to check out our lift-out Readings Mother’s Day Gift Guide, packed with over 50 great bookish suggestions – or this month’s star-studded crime page, where Fiona Hardy recommends new books from Paula Hawkins, Joël Dicker, Jo Nesbo and Dennis Lehane. Jo Case is the editor of Readings Monthly and a bookseller at Readings Doncaster. You can pick up a free copy of this month’s Readings Monthly from any of our shops, or download a PDF version here.